Can I pick my own URL / web address? Where can I add my skills, expertise and award wins? 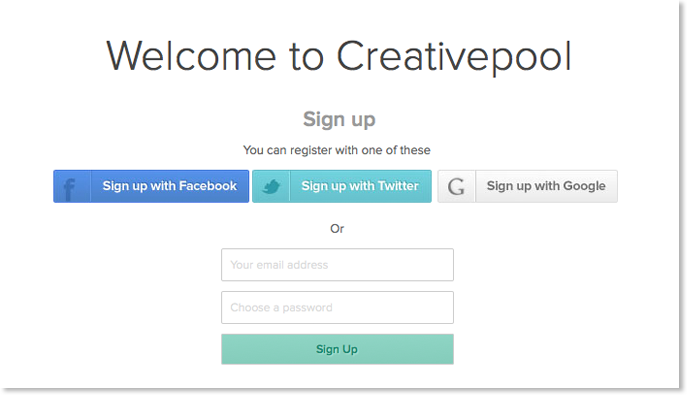 Signing up to Creativepool couldn't be easier - we just need a few pieces of basic information to get your profile up and running. First choose whether it is a company or individual profile that you need. For rapid signup you can use your Facebook, Twitter or Google account. Once you've entered your basic information you can start uploading your images and videos and linking to all of the collaborators involved with Creativepool's unique Madeit function. To stand out with your personal branding, dont forget to add the HEADER IMAGE. To add, edit or remove header image. Go to the Edit profile section and scroll down to the Header Image section. Images are large and should be 1000px wide by 280px high. Try to stay below 1MB for easier uploading. You can use JPG, GIF or PNG file types. You don't need to keep the random URL that is generated when you started your profile. You can choose the URL you want. Go to your profile and click Edit profile. From here you can choose your own URL and save. Now when you share your profile this is the web address that you will need to use. You can only change your URL once, so make sure you're happy with it before you press save. If you need to hide your profile for any reason, this is easy to do. Head to your Contact and privacy settings. Private and hidden from search. To hide your profile from Creativepool you will need to choose either Seachable by other CP members, which means non members won't be able to find it. Or you can choose Private and hidden from search, completely removing it from visibility on Creativepool and the web. To add in your award wins, skills and expertise go to your Experience page in the profile edit section. If you'd like to completely remove your account visit your privacy page. At the bottom of the page there is a Leave Creativepool entirely button. We'd be grateful for any feedback as to why you have decided to delete your account and hope to see you back soon.